ACT Light Rail have been waiting for the Light Rail Network Plan for some time, and were very pleased when a draft was released by Planning Minister Mick Gentleman some months ago. The consultation period for the Light Rail Network plan closed on Friday December 11, 2015. ACT Light Rail prepared a submission on the plan, and provided it to the ACT Government. You can read the ACT Light Rail submission here in full. You can read the draft Light Rail Network Plan here. We decided to issue a press release to bring wider attention to the Light Rail Network Plan, and its objectives. The public transport lobby group ACT Light Rail made a submission to the ACT Governments 2015 Light Rail Network Plan today, on the final day of the consultation process. ACT Light Rail is a community based public transport lobby group, calling for better public transport in the Capital Region. Their membership is drawn from Community Councils, and members of the public and exceeds 700 people. 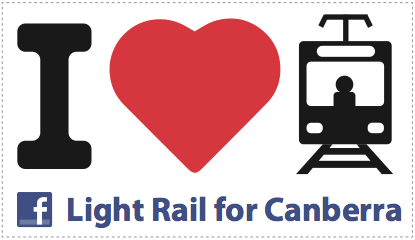 They believe that light rail as the backbone of public transport; with integrated bus services and active transport provide the best public transport solution for Canberra. “We looked at the Light Rail Network Plan in detail and support its objectives. We believe that light rail will be an important city building tool, but that it must integrate with other public transport such as ACTION Buses, taxis and Uber to fully maximise those benefits.” Mr Haas added, confident that was the Governments intention. ACT Light Rail also provided observations on the proposed light rail routes, and recommendations for additional routes that could be incorporated to address current and future land use changes. · ACT Light Rail supports the ACT Governments Capital Metro Stage One project, and the draft Light Rail Network Plan. · ACT Light Rail supports the proposed light rail routes as outlined in the draft plan. · ACT Light Rail supports planning light rail rotes around ‘future needs’. · ACT Light Rail recommends that the routes may need updating, as large scale residential developments such as Googong, and the redeveloped CSIRO Ginninderra Field Station will create transport demand that light rail may be best placed to respond to. · ACT Light Rail supports a business case for each corridor; and would ask that the ACT Government ensure that there is ongoing funding for this task in the budget cycle. · ACT Light Rail supports the ACT Government exploring alternative funding models, including land value capture, congestion charges and toll road funding being used to expand public transport. · ACT Light Rail supports the Parliamentary triangle route, commencing after extension of Capital Metro Stage One to Russell. ACT Light Rail will place their submission on their website at actlightrail.info for the public to read. 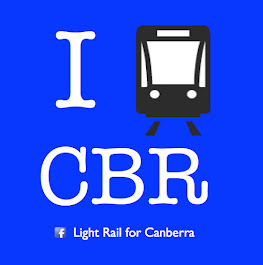 They have a Facebook group: Light Rail for Canberra, with over 700 members.